“Mein khambaa laata hu, tu biryani leke aa”, “Boss! Do cutting chai please”, “Tension nai leneka”; the use of these lines and the likes are the easiest way to spot an actual Mumbaikar at a densely populated platform of Dadar station. 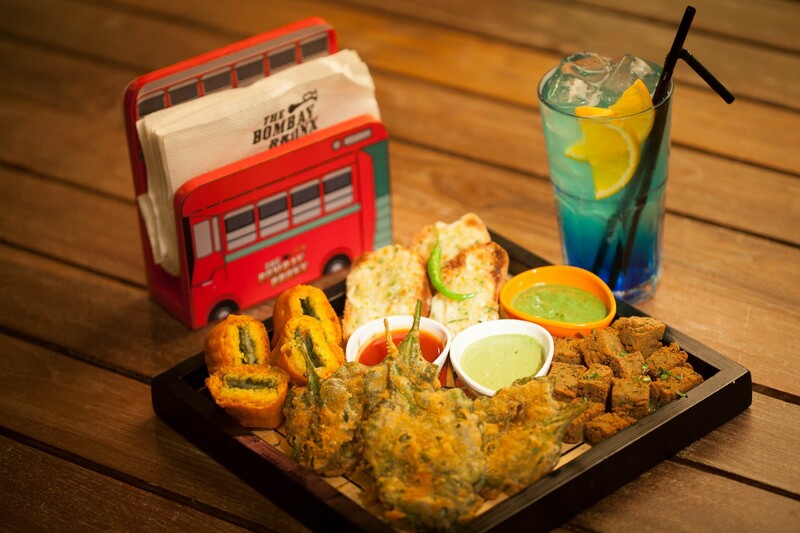 Recently, we visited a chic, dainty pub called The Bombay Bronx. Walking into this place we were pleasantly surprised to see the trademark- Bombay dialogues plastered on their walls. It took us hardly a moment to realize why the pub was named so. The decor was very unique and brilliantly done. We were thoroughly entertained reading the posters, checking out the props and gushing over the exact replication of the torn advertisement pamphlets in the locals. The table where we sat had the typical Mumbai steel tiffins (“dabbas” that are popularly transported to hungry office-goers every day) underneath the glass top. The tiny double-decker BEST buses made for the cutest tissue-paper holders while the Bollywood pictures and posters portrayed Bombay in its true sense. After the place was thoroughly scrutinized (including the colourful ‘Gola’ cart corner), we realized that a pit of raging hunger was burning in our belly. We were handed over the two page menu card, designed to look like the ones one might find in a shady canteen. The signature cocktails offered there were the eye-catchers, with their absolutely ‘desi’ flavour bases. We sampled all of them and declared the Aam Panna and the Iced Peru as the victors followed by the Cucumber Gin and Tonic and the Pani Puri Caipiroska. The brilliantly served ‘chakna’ or snacks kind of made the cocktails gel even better with the theme. 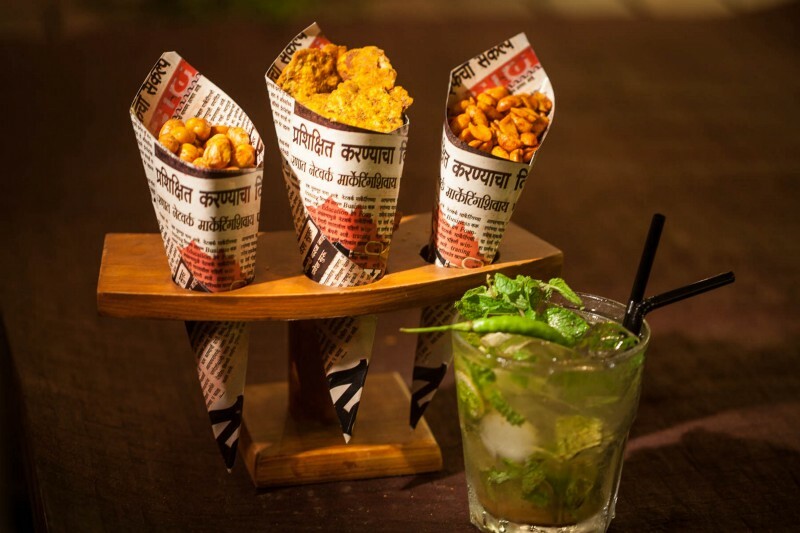 With paper cones like the ones your favourite ‘Chanawala’ near school offered, these came filled with peanuts, Kothambirwadi (fried coriander snack), and sev! My excitement escalated considerably after going through the food menu which boasted of Baida roti, stuffed Bombay duck rolls, Dhokla pakoda, Tandoori wings,Malgapuodi idli and much more. We would’ve ordered it all but sensibility took over and we went for their signatures. 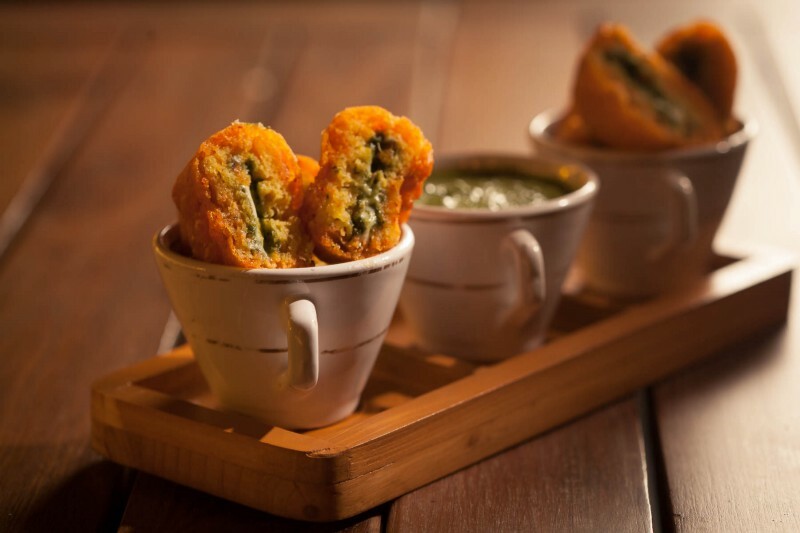 The Bombay Dabba was asked for, in which four of their signature vegetarian or non vegetarian starters come plated merrily with savoury chutney. The Raju lollypop and the Masala Fish Fingers disappeared within minutes. 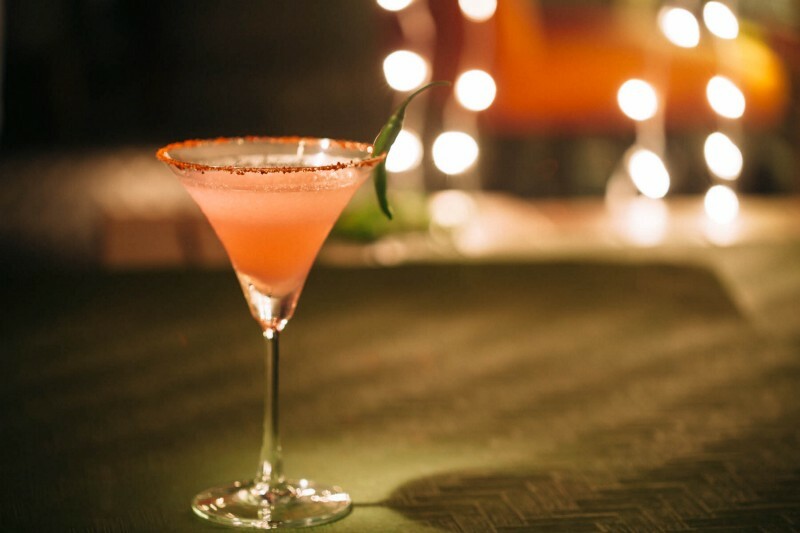 The crispy, adequately spicy and quintessentially Indian finger food goes perfectly with their wide range of cocktails and both the maal and kadak maal (names fondly given to the other alcoholic beverages and mocktails). Just when we thought that the night was slowing down, I heard one of my favourite Jason Mraz songs play, which to our surprise was being sung by someone who sounded nothing like him! A big screen popped out of nowhere and read the lyrics of the song. Karaoke night! 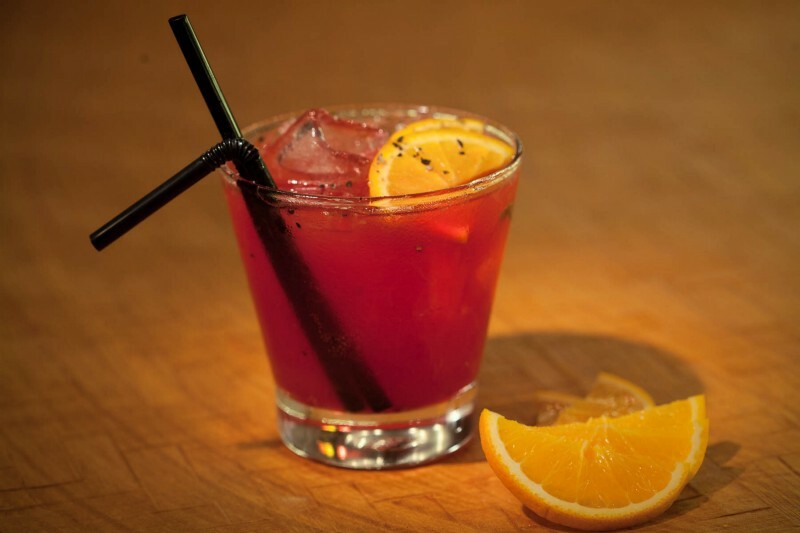 This is probably one of our (and most of yours, we’re sure) favourite thing to do on a night on the town. The food kept flowing in and the music grew louder. People sang their hearts out while some swayed to the beats of their favourites. Of course we sang our share- rather, tried to sing it. The chirpy ambience of The Bombay Bronx that we had entered had completely transformed into a laidback, party atmosphere by now. And we weren’t complaining.